Hockey Counsellors are staff who have a special interest in hockey and working with children. Instead of working with their campers at camp during instructional periods, Hockey Counsellors work with campers during their daily hockey sessions held at the arena. Hockey Counsellors will be working both on-ice and during dryland sessions. There are two different Female Hockey Counsellor shifts each day and three different Male Hockey Counsellor shifts. Each week the shift schedule will rotate. Hockey Counsellors will work closely with each other, Dryland Instructors, and the Hockey Instructors to ensure proper supervision and instruction for the campers. Responsibilities include bus supervision, dressing room and lobby supervision, assisting the Head Instructor on ice by setting up pucks and pylons for drills, supervising and assisting the Dryland Instructors during Dry Land Training and assisting on Saturday's during the Showcase Scrimmage games. Counsellors are responsible for teaching campers the safety requirements of each program ensuring that all participants use equipment properly and follow safety standards. This includes providing care to our campers that reflects the standards and guidelines of HOC’s Child Care Practices. Each instructor is responsible for their program area and maintaining equipment in good order for the next program period. Supervise campers on the bus, while in transport to and from the arena, in the dressing room, and during Dryland training sessions. Also responsible for supervising campers in the arena lobby if they are not skating with their section and/or are in between ice sessions. Make sure campers follow their posted arena timetable and bus schedules. Take direction from the Head Hockey Instructor while on the ice by demonstrating drills and working individually with campers on specific skill development. Take direction / assist the Dryland instructors during dryland sessions at the arena. Supervise & provide care for players off the ice (bathroom breaks, minor injuries, homesick, equipment repair, etc). Hockey Counsellors are the first staff called upon for cabin coverage for staff weekends off and other assigned duties. 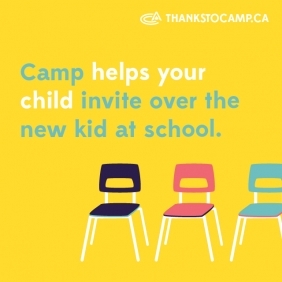 Communicate with the Camp Counsellors / Section Heads / Counselling Director in regards to camper issues and concerns at the arena. Maintain equipment both on and off the ice (pucks, locking stick racks, pylons, etc). Prepare skates for skate sharpening pick up and delivery. Ensure dressing rooms are thoroughly cleaned and swept before leaving the arena Friday night and/or Saturday after check out. Ensure stick racks are organized and locked every day before you leave the arena. Assist with Friday night / Saturday Showcase Scrimmage games as assigned by the Hockey Director. Assist with evening cabin supervision duties, as scheduled by the Program Director (usually once per week). Participate in Sunday Work Brigades and Check-In Procedures. Distribute and collect game worn jerseys for Friday night / Saturday Showcase Scrimmage games. Ensure that campers with special medical/personal needs are properly supervised. Wages: Summer wages depend on qualifications, responsibility, and experience. Room and board are included. Minimum 17 years of age and currently enrolled in Grade 12 or higher. Genuine interest in hockey and working with children. Experience teaching and communicating to children of varied ages. Specific camp experience an asset. Experience coaching, or working with children on-ice, an asset. Current certificate of Emergency First Aid, and CPR, as well as Respect in Sport. Must be enthusiastic, energetic, and positive.